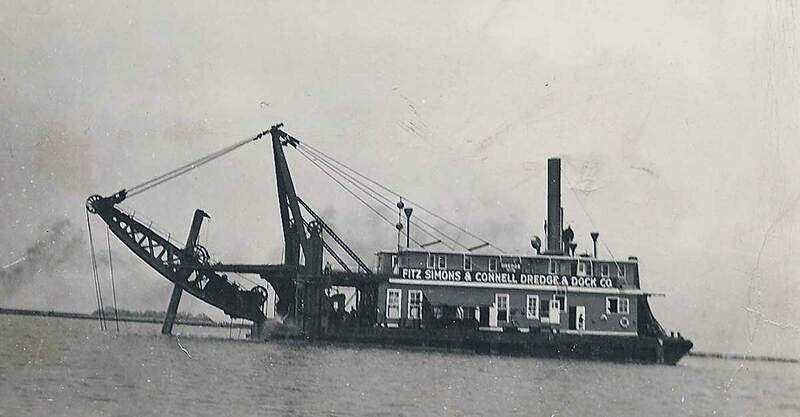 Built in 1912 and launched from Green Bay, Wisconsin, Dredge #6 or also known as Dredge 906 was owned and operated by Fitz Simmons and Connell. While the dredge was designed for light harbor work, she often was tasked with jobs out on the open waters of the Great Lakes. Dredge #6 saw over four decades of dedicated service when she was being towed to a job site south of Milwaukee. While under tow, 55+ MPH winds caused her to list and take on water. She then sunk, taking nine members of her crew with her, three of which were actually rescued and later passed away at the hospital. Today, she rests upside down in 55 feet of water. Some of her remains include her massive crane, boiler and dredging machinery. While her depth makes her a great dive for novice to intermediate divers, she does require solid skills and good buoyancy control as the bottom is quite silty and can be easily stirred up. We visit Dredge #6 from Milwaukee.